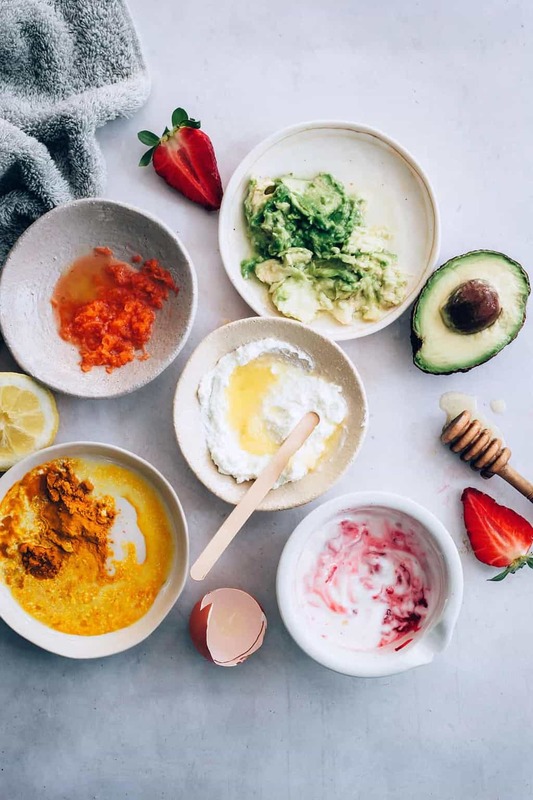 While you can certainly find your fair share of hydrating face masks at your local beauty store or at one of several online marketplaces, many of the key ingredients used in these over-the-counter masks may already be in your fridge or pantry. For example, cucumber is the champion for hydrating vegetables, and yogurt and honey provide essential probiotics and lactic acid that help nourish and hydrate the skin, explains Elina Fedotova, celebrity esthetician and founder of Elina Organics Skincare and spas in Chicago and Kalamazoo. Another wonderful mask she recommends to her clients is a calming blend of watermelon and cucumber, mixed with honey. If you’re looking to amp up your hydration, doing so at home is not only convenient, but it also gives you the empowerment of knowing what you’re putting on your face, since many over-the-counter varieties contain fillers and chemicals that could do more harm than good. Here are the homemade recipes for creating a hydrating face masks that experts recommend. Combine ingredients in a bowl and apply to face in a circular motion. Leave on for 20 minutes before rinsing off and patting face dry. Honey is an antibacterial, so it’s ideal for acne treatment and prevention. It’s also full of antioxidants, which help fight free radicals in the environment that can lead to premature aging. Additionally, Michelle Schlekewey, esthetician and Director of Guest Programs and Services at Golden Door, explains that honey provides a nice complexion boost thanks to its moisturizing and soothing properties. “Aside from the calcium, cottage cheese adds selenium, an essential mineral for youthful, glowing skin, and is also a great source of vitamin D,” she says. Mix ingredients in blender and apply mixture over the entire face for extra hydration and nourishment. Boil the carrots and place in a blender with butter and honey. Apply to face for 20 minutes before rinsing off. Blend ingredients well and apply mixture to face. Leave on for 20 minutes before rinsing off. Mix ingredients in a bowl slowly. Apply mixture to face and leave on for 10-20 minutes before rinsing off.